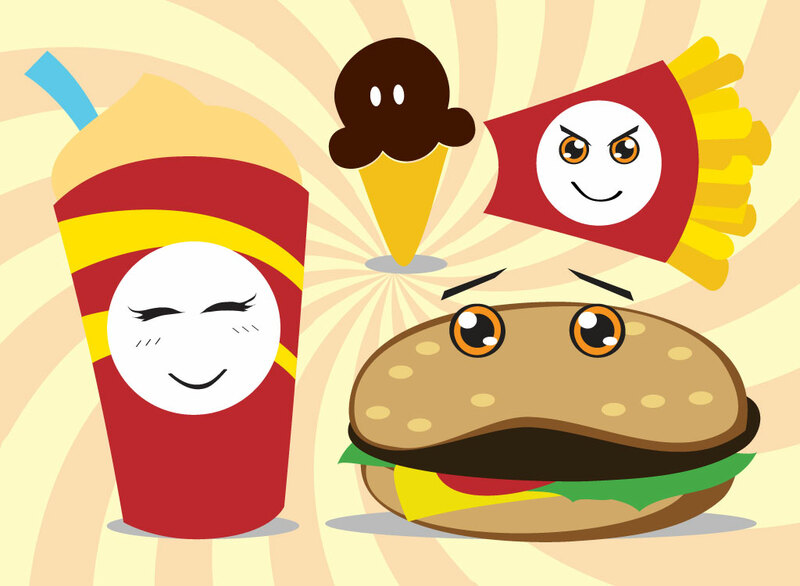 Download these cool fast food characters including a hamburger, soda drink, French fries and ice cream. Great cartoons for your fast food and kid friendly design projects. Tags: Burger, Cartoon, Characters, Fast Food, Fires, Food, Ice Cream.